Rather than bore you with a spiel on hallyu; here is a compilation of Koreans in Chinese films proving that the Korean wave is here to stay. The trend reminds me of Hollywood stars shooting Japanese commercials and I bet they're paid handsomely too. Due to language barriers, actors usually run lines in Korean that is then dubbed in Chinese. #1 Lee Joon Ki in Never Said Goodbye 谎言西西里 (premieres Aug 9, 2016). Lee Joon Ki's first movie is a sad yet touching romance guaranteed to sneak past your defenses. 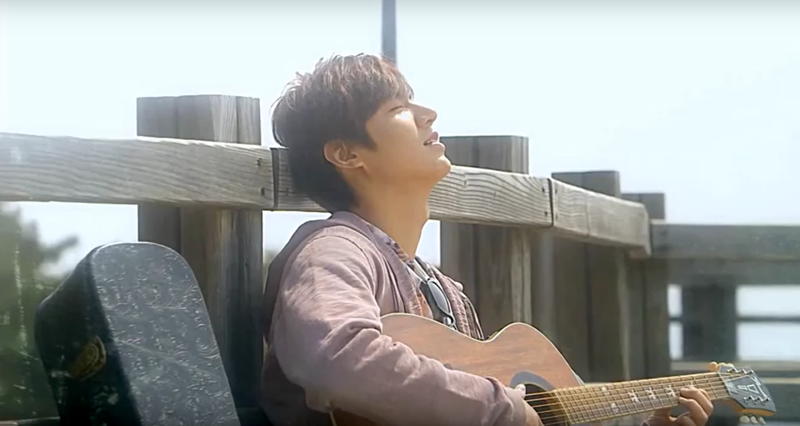 #2 Lee Min Ho in Bounty Hunters 一諾千金 (premieres Jul 1, 2016). After City Hunter comes Bounty Hunter, a Chinese action flick led by Lee Min Ho, Wallace Chung and Tiffany Tang Yan (Princess Weiyoung). Both the romance and the bromance look promising in this one. #3. Im Yoona from SNSD Girls Generation in God of War Zhao Yun 武神赵子龙 (2016). She is the sword wielding heroine to Zhao Yun played by Lin Gengxin. #4 Kim Jeong Hoon from Princess Hours is also in God of War Zhao Yun. So Yoona can have a friend or two because I swear there is one other Korean actress also in the series. 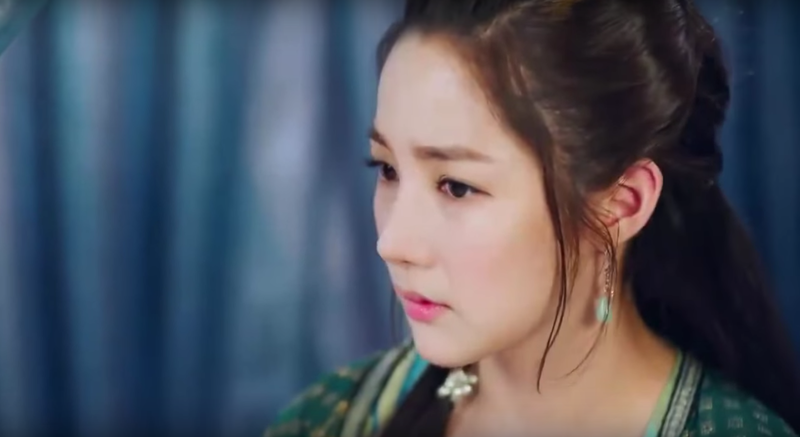 #5 Park Min Young in Braveness of the Ming 锦衣夜行 (2016). Always stunning even in ancient garb. #6 Park Chan Yeol from EXO in So I Married the Anti-Fan 所以，我和黑粉结婚了 (premieres Jun 30, 2016). A movie based on a Korean manhwa about a top star and his biggest anti-fan. #7 SNSD Girls Generation Seohyun in So I Married the Anti-Fan as the hot and successful other woman that is bound to lose against Plain Jane. #8 Lee Min Ho in One Line Romance 一线钟情 (2014). A cross-cultural drama where Lee Min Ho plays a Korean musical producer who meets an ordinary Chinese girl. Brought to us by LINE at 3 episodes and 16 minutes each, it's like a very long advertisement for the messaging app. #9 Lee Jong Suk in Jade Lovers 翡翠恋人 (upcoming). From the producers of Diamond Lovers, comes Jade Lovers following a similar Cinderella story set in the 1930s. Lee Jong Suk stars opposite Zheng Shuang (Chronicle of Life). 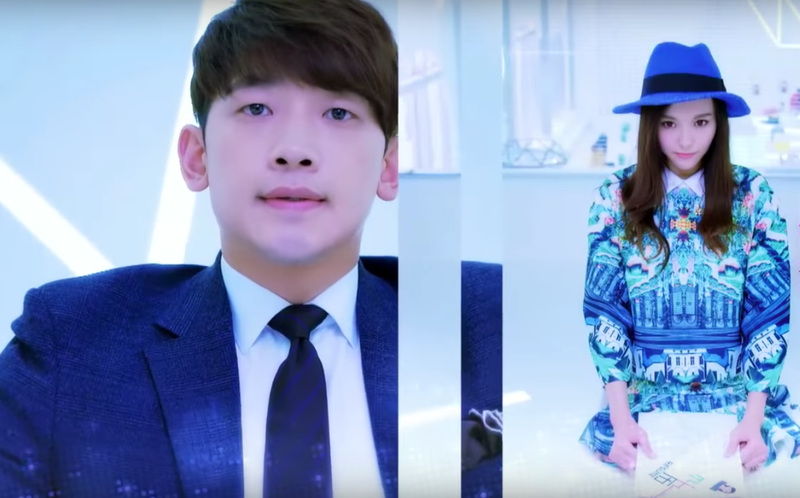 #10 Rain in Diamond Lovers 克拉恋人 (2015). Rain Jung Ji Hoon's first foray into c-drama is in the form of a highly-accomplished executive who meets the ugly duckling played by Tiffany Tang Yan (Princess Weiyoung), that is until she gets a makeover. Rain lends his voice for the opening song, in Chinese! He also ventured into his first c-movie For Love or Money (2014) where he stars opposite Crystal Liu Yi Fei. #11 Kim Tae Hee in Famous Calligrapher Wang Xi Zhi 书圣王羲之 (upcoming). 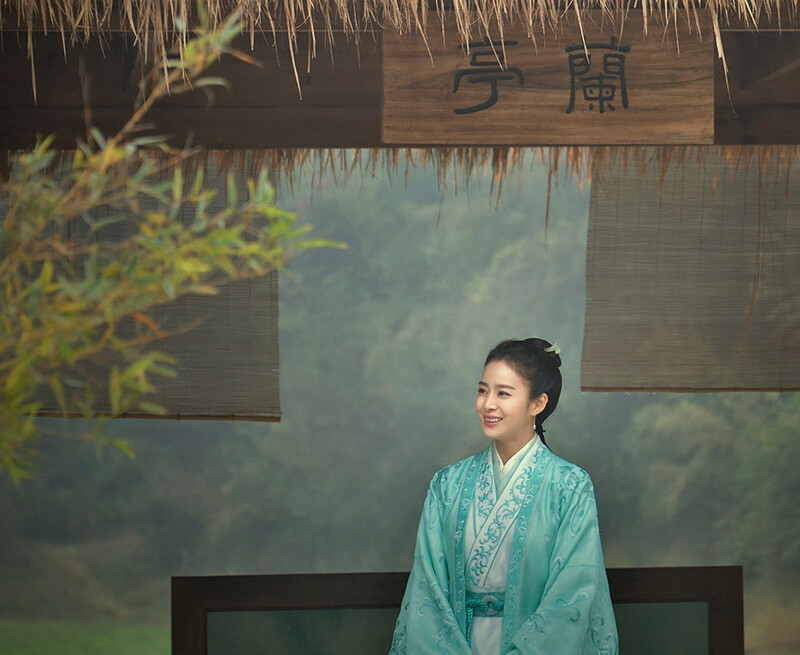 It is a 40-episode historical drama following the life of Wang Xi Zhi. Sadly, this is barely on anyone's radar, which is weird since it is Kim Tae Hee, begging the question as to why she took on such a nondescript project in the first place. #12 Former Super Junior member Kim Ki Bum in Demi-Gods and Semi-Devils 天龙八部 (2013) and Lucky Tianbao 吉祥天宝 (2016). Netizens are mixed about casting a foreigner into such an iconic role from one of the most popularized wuxia nonetheless. I actually liked him in this but it's a shame the series wasn't nearly as good. And then, he goes on to star opposite Zhao Li Ying, nice move. #13 Choi Si Won from Super Junior in Dragon Blade 天将雄师 (2015). You won't often hear the names Jackie Chan, Adrien Brody, John Cusack and Choi Si Won together in a movie and a historical film at that. Choi Si Won is also in a number of other c-dramas and movies so it's no surprise that his popularity is skyrocketing in China. #14 Nichkhun from 2PM in One And A Half Summer 一又二分之一的夏天 (2014). Why did I know that the title would have the word summer in it? 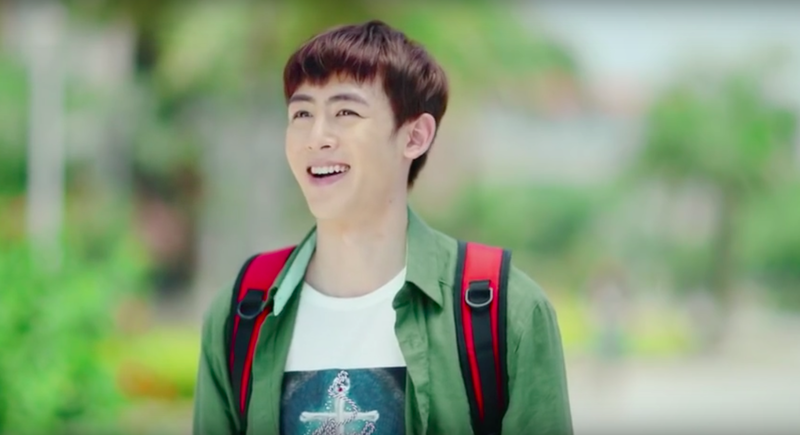 Nichkhun has always had such a bright and sunny personality it kind of fits though. #15 Lee Da Hae in Love Actually 爱的蜜方 (2012). With Joe Cheng (Chinese Paladin 5) and Li Yi Feng (Legend of Chusen) as the two leading men, who needs the plot. #16 Jang Nara in My Bratty Princess 刁蛮公主 (2005). Did every k-actress back in the day partner up with Alec Su. First Chae Rim, then Jang Nara? Props to Jang Nara for her performance in My Bratty Princess, a quirky drama beloved by many to this day. She sang the opening too, in Chinese! #17 Chae Rim in Warriors of the Yang Clan 杨门虎将 (2004). One of the first k-actresses to venture into the land of c-dramas. 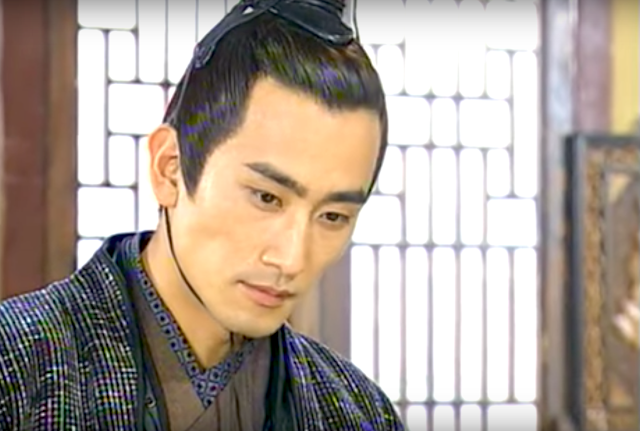 #18 Cha In Pyo in one of the earlier c-drama adaptations of The Four 四大名捕会京师 (2004). Given that You From Another Star and Descendants of the Sun has done wonders for Kim Soo Hyun and Song Joong Ki, catapulting them to top star status worldwide, I wonder if and when they will make the leap to c-ent. If you know any more, comment below and I'll add it whenever I can. For a couple more k-celeb crossovers that include Park Shin Hye, Choi Si Won and Goo Hye Sun, click here. Too bad it's just a one-way street, with a very miniscule number of Chinese stars invited to crossover into k-dramas. yes too bad indeed. Do you know of any where Chinese stars crossover? I know they do it a lot in k-pop but even then they're usually more active in Chinese-speaking countries rather than Korea.